Todays Interview is with Kyler Perrault. Kyler is in the 2014 class and played DB for Carencro High School. 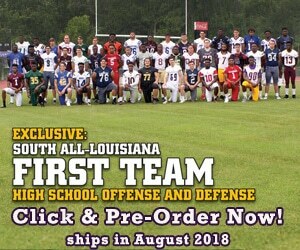 He is one of the fastest players in Louisiana and can play all over the field. In the interview, Kyler talks about the challenges his team faced, and some of his best games of the past season.